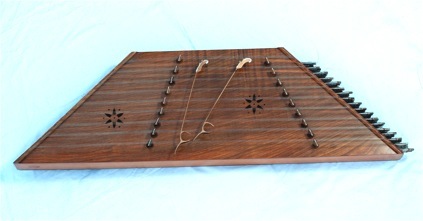 The Iranian santur belongs to a family of instruments that are first documented in Anatolia around the year 1000CE. The Iranian version is very much a classical instrument and is unique in the family in that it is played with featherweight hammers that demand an exacting wrist technique. Broadly similar instruments are found in Iraq and China but the Iranian version is the most developed in technique and repertory.